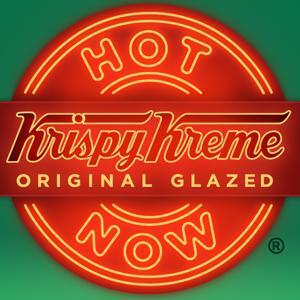 If you’ve ever been at a Krispy Kreme store when the “Hot Now” light flashes on you have experienced culinary joy. Those light, airy, sweet glazed donuts are works of art. It’s flavor unique to Krispy Kreme. 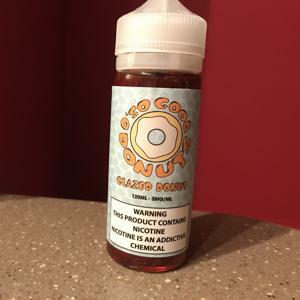 But the folks at Apollo have gotten pretty close to duplicating it with their Glazed Donut ejuice, one of the flavors in their new O’So Good Donut line. Glazed Donut opens with a light yet quite sweet, almost sticky sugary glaze flavor. On the exhale there’s just a hint of that soft cakey donut texture. Glazed Donut has an aroma that rivals that of glazed donuts just pulled from the oven. The throat hit is mild and the vapor is smooth. Like its namesake, Glazed Donut ejuice is especially enjoyable with a cup of hot, black coffee. I’ve been vaping it for several days and it has quickly become a favorite. 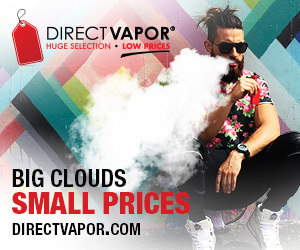 Apollo offers Glazed Donut ejuice in 120 ml bottles with a nicotine level of 0 MG, 3 MG or 6 MG. This ejuice is mixed in a Max VG ratio. Glazed Donut is $34.95. I vaped Apollo Glazed Donut in a SMOK TFV12 Prince tank on a Kangertech Spider mod. Apollo supplied the bottle of Glazed Donut I tested for the purpose of this review. Find out more about Apollo Glazed Donut EJuice and order a bottle here.